Our experiments with smoke added another flavor layer to this already tasty margarita. When prepping the pineapple, reserve a couple of full round, 1/2 inch slices with the skin on for garnish. 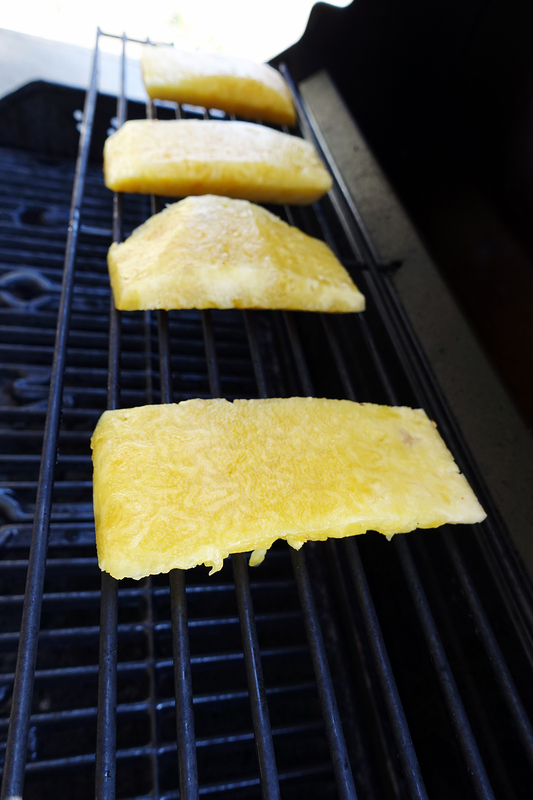 Skin the rest of the pineapple and cut into slabs. We smoked the large pieces of pineapple for approximately 20 minutes using our Smoke Chief Cold Smoker — what a cool contraption! 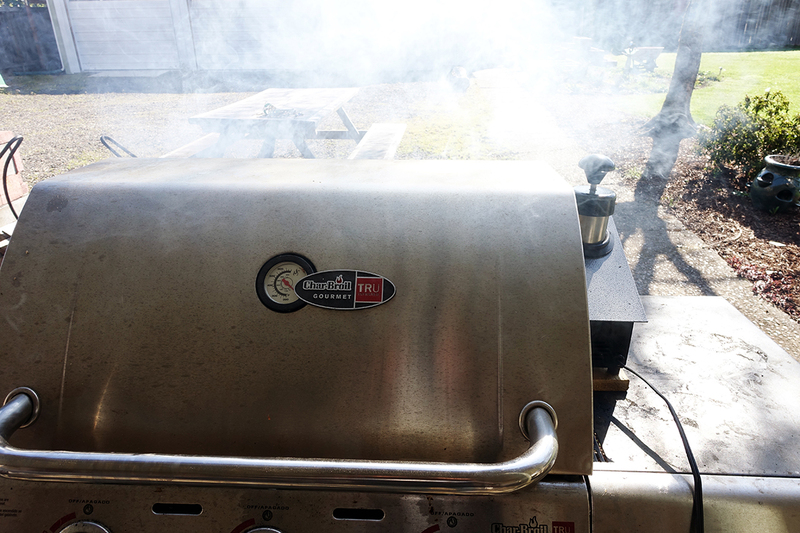 Next, we grilled the reserved slices to create nice grill marks and cut the rings into quarters to use for garnish. Add the smoked pineapple, lemon juice, lime juice, simple syrup, salt, tequila, and triple sec to a blender with 4-6 ice cubes. Blend until completely smooth and frothy. 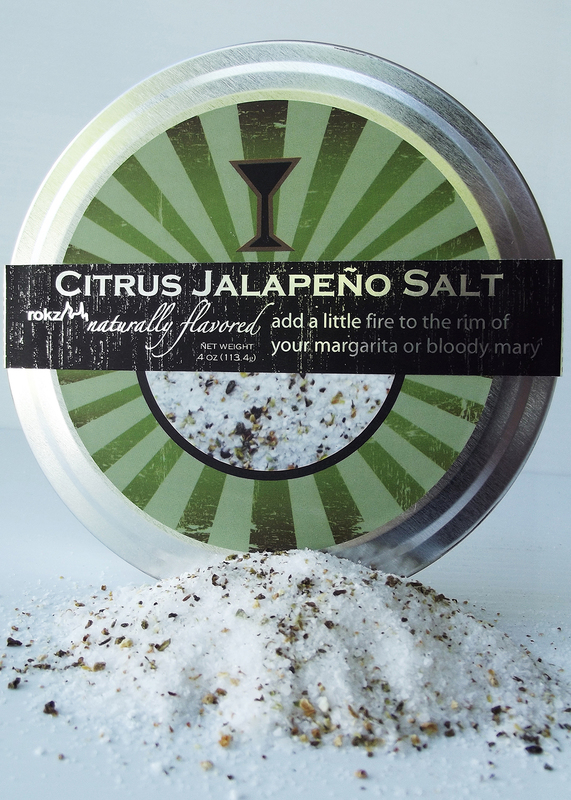 To serve, wet the rim of the glasses with a wedge of lime and dip into rokz Citrus Jalapeno Salt— we like the look of a wide rim of salt, try coating just one side for a cool look. 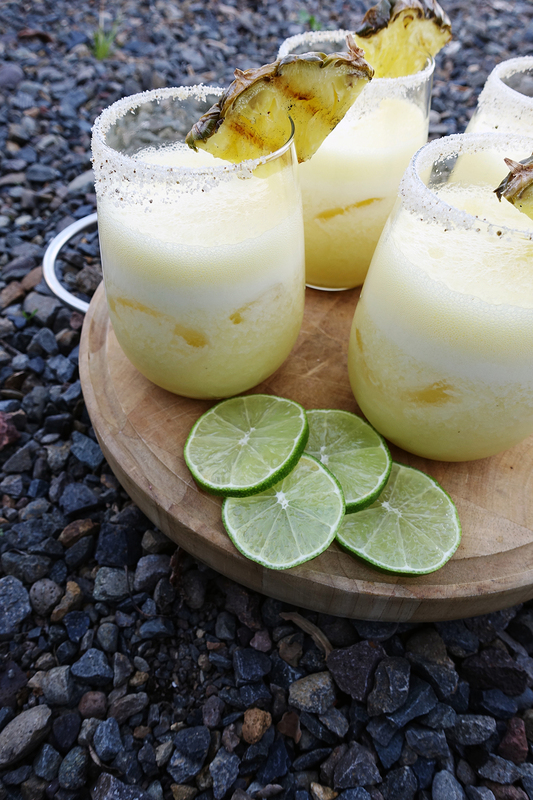 Fill the glasses with ice and add the mixture, garnish with a piece of the grilled pineapple. Prep in advance – just pour the blended mixture into a pitcher and refrigerate up to 3 hours.